On The Menu: Lead with Intent. Here’s How. 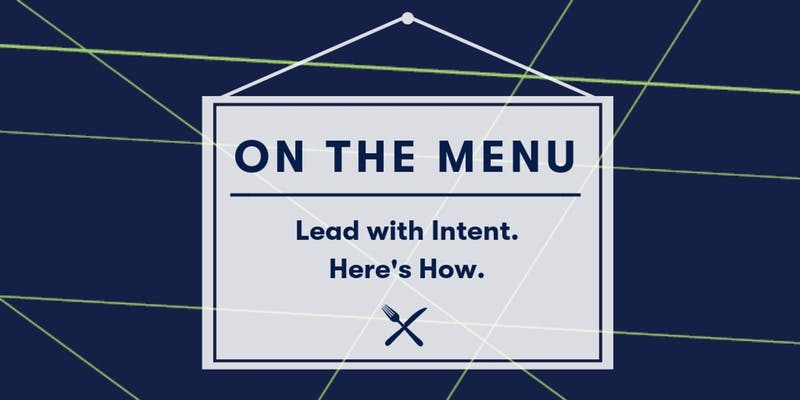 The Research Triangle Park > Events > The Frontier > On The Menu: Lead with Intent. Here’s How. A huge milestone to hit when establishing your business is hiring your first employee. When that moment comes, you are instantly a boss. How will you lead a team of one? Of two? Of five? Of 20? The first step is to define your leadership style before it defines you! Join us December 3 to explore, shape and definite your leadership style! Our in-house expert, Brian Alvo of NextGen Center, has the knowledge and will be serving it up ... along with lunch!